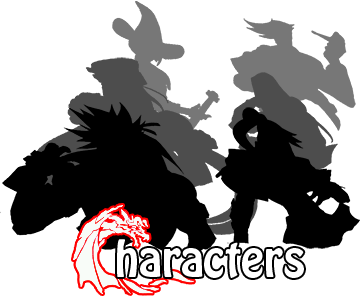 A unique style of Chinese martial arts blending techniques passed down through Senjutsu, as well as hidden weaponry. Joined body and soul, as twins we wander the Dark Dimension. Uses large steel talons, a gong, and other various weapons. She also uses an assortment of items, such as an Akuma doll, Vega's claw, Chun-Li's bracelets, etc. 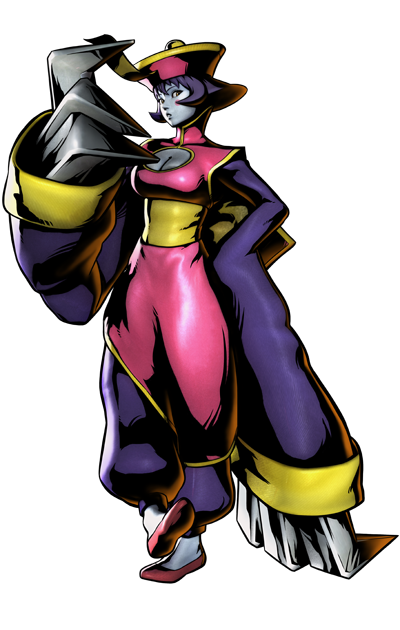 In a Darkstalker attack on their village, Hsien-Ko’s mom gave her life to save her family. Now, Hsien-Ko and her sister fight to save their mother’s soul. Don't laugh, Mei. Not all jiāngshī can be as beautiful as us!